For historical reenactment, theatrical costumes, and more, the Civil War Confederate Enlisted Belt Buckle is essential. 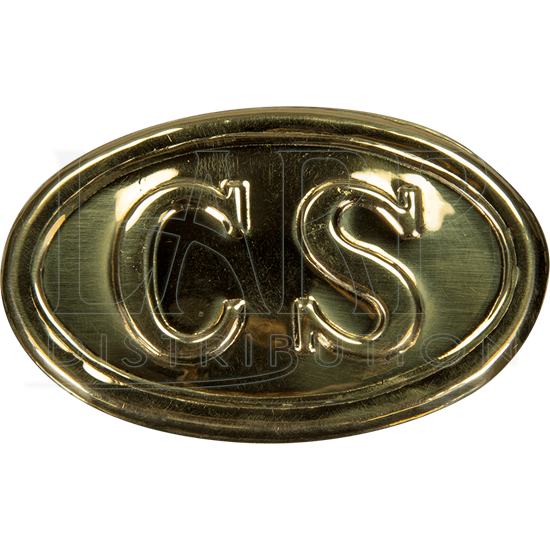 Create the look of a Confederate soldier from the American Civil War with this handcrafted brass belt buckle. The letters CS feature bold on the oval Confederate buckle. Three tabs on the back help attach it to your own favorite belt. When putting together a fully detailed, historical Confederate soldier outfit, add this Civil War brass belt buckle to up the authenticity of your look.